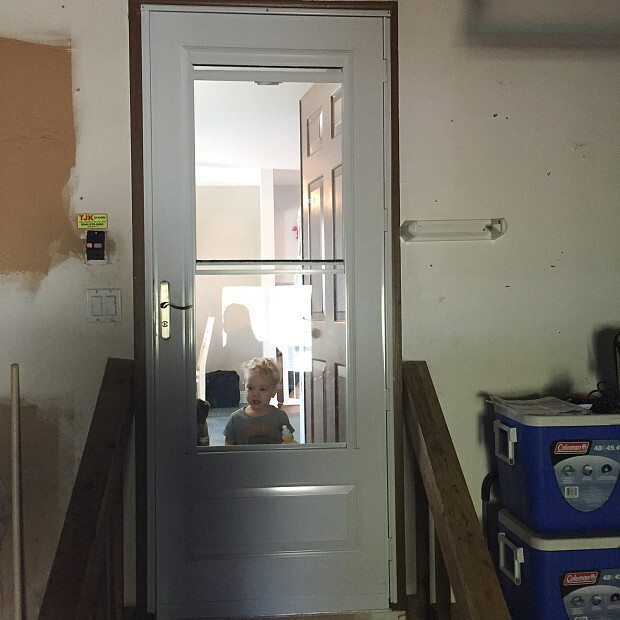 WHAT MY NETWORX CONTRACTOR DID FOR ME: Installed a storm door for my garage. WHY I CHOSE HIM: Best price. Our house-to-garage-entry really needed a storm door. I had gone out and purchased one, and was originally planning to install it myself. However, two things changed my mind: 1) a shortage of time and 2) the difficulty of this type of project if you’ve never done it before. I checked with Home Depot, who quoted me a pretty good price to do the door installation. As the result of my searching around to see if I could get an even better deal, I ended up getting an email which asked if I needed any contract work. I replied that I needed to find a handyman to install the door and maybe also for surround sound. When someone called me with a bid, she was friendly, so I told her about the quote I’d gotten from Home Depot and asked, “Could you go any lower than that?” After a little bit of back-and-forth, we got down to what I thought was a good price. She sent a handyman from 1-800-RAPID-51 to my home and for the most part the storm door installation went pretty well. However, he did make a small error; I think he just drilled in the wrong place. There was a tiny hole by the handle that I didn’t notice myself, but he was honest that it was there and that it was his fault. 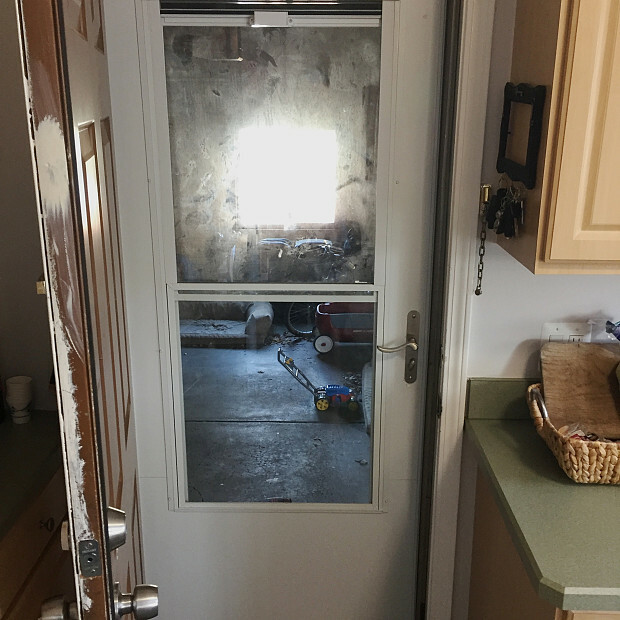 He actually offered to replace the door or to caulk it and make it look flush. 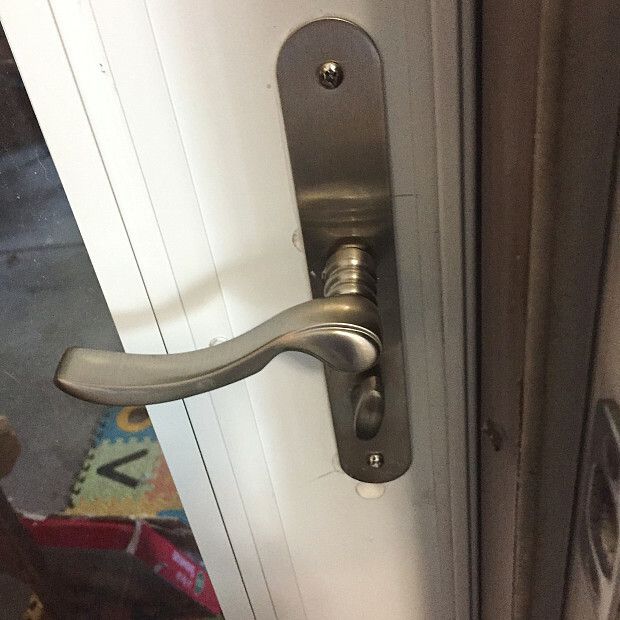 I said, “No, you don’t have to replace the door. Can you knock something off of the price, though?” He knocked 20 bucks off and caulked the door to disguise the hole. It was a little annoying, but since he made it look better, it’s not that big a deal. He was a nice guy and I respect him for his honesty. He could have handled that situation very differently by either just never telling me or saying that the hole was already there. There were a number of ways he could have gone about it, and I think he handled it the most professional way. In my area, local businesses frequently send out coupon packages, which often offer good deals on contract services like landscaping, painting, asphalt, and so on. If you’re looking for a contractor, you can start by calling around from there. I like to go online and get quotes from multiple companies. Ideally, wish I had one regular go-to guy (or girl) that I could call on for any home improvement work I needed, like my buddy in Tampa has. Circuit Breaker Replacement for a K9 Facility by Michael H.